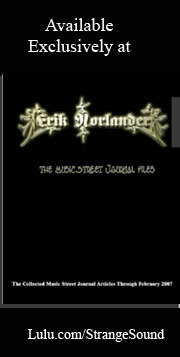 This disc, just released in 2000, is a great testament to the live presence of this legendary, if obscure, band. 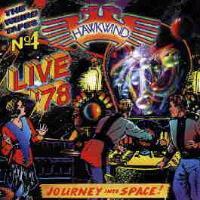 The CD features some of the finest live recordings of Hawkwind that I have ever heard. The choice of tracks is also quite exceptional. For long time Hawkfans and new comers alike, this one is a great choice. 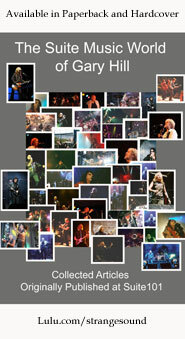 The lineup on this CD is Bob Calvert, Dave Brock, Steve Swindells, Harvey Bainbridge and Martin Griffin. This is an awesome performance of a killer gritty guitar oriented space rock jam. This features a great wandering segment based around the guitar solo. The cut includes punky oriented Calvert vocals. A slower cut in a great groove, this one is in a classic Hawkwind mode. It slows to segue into “Spirit of the Age." Based on a faster classic hard edged Hawkwind sound, this is a killer track, and one of the finest versions of the piece out there. This cut is a killer hard edged Hawk cut, and features a great instrumental break. This number is arguably the best song Hawkwind has ever done and the version here is very strong. In fact, the textures on the later segments of this track are absolutely phenomenal. This one also leads directly into the next cut. This one starts with a keyboard dominated jam that has a great groove to it. The song features an awesome prog jam that is very bass dominated. As the speed increases, so does the complexity of the composition. The track features a classic Calvert vocal line and a hard edged guitar dominated segment that really rocks. It also features a great keyboard dominated segment with some awesome bass work. This segment has a classic prog sound to it and serves as the outro. Beginning with space sounds, and a countdown to blast off, it begins to build as the space ship lifts off. Keyboard textures with mission control type voice overs take over. It jumps up to punky sort of space Hawk jam that really rocks. The Hawkjam towards the end has a very cool rhythmic texture to it.